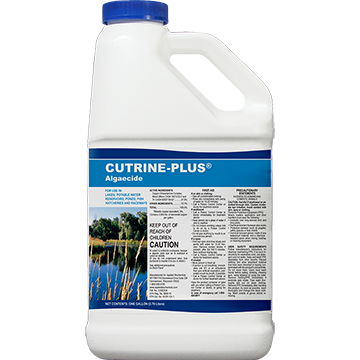 Cutrine-Plus® is a liquid, aquatic copper-based algaecide that helps with all types of algae and chara. Spray evenly across surface of pond or spot treat algae mats as needed. 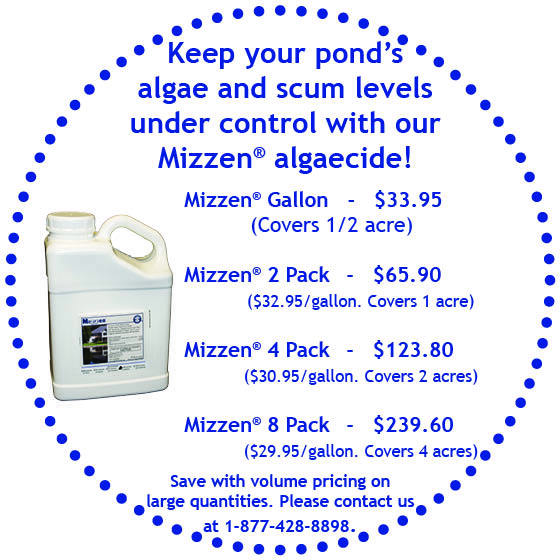 An Algaecide/Herbicide ideal for planktonic and filamentous algae, Chara, and Hydrilla. Cutrine Plus® Has no general water use restrictions at label rates. Ideal for surface algae. Active ingredient is 9.0% copper as elemental (copper-ethanolamine). The liquid application rate is 0.6 to 3.0 gallons per acre-ft. Product must be diluted prior to use. Clears surface algae in a day or two. I've been using it for years and always works. It lasts longer than the brand I can get at the local feed store. Have used for years in 1/2 acre pond. Can usually get away just 1/2 gallon treatments twice per year.